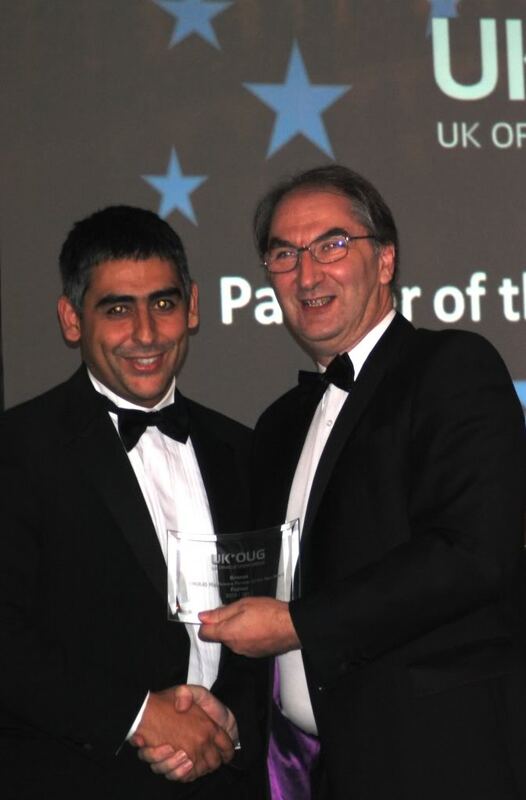 One of the best new ideas we have had in UKOUG over the past few years is the Partner Forum and best of that is the Partner of The Year Awards. These awards are voted for by customers unlike the Oracle Awards. Partners still like to win Oracle Awards but these are the ones that really count. All the partners who take part really want to win and competition is hot. There is no better accolade than one from your customers. I don’t like to mix my postings with UKOUG and Fujitsu but this is one where I can. This year at OOW Fujitsu were the Marquee Sponsor and we had a keynote were we talked about our relationship with Oracle, and when we talked about awards UKOUG PYA was pride of place. In August I presented at Insync in Melbourne and one of the exhibits there had UKOUG in their marketing. Look around our exhibition at the TEBS conference in November and see how many display their awards. As I am from a partner organisation I am not allowed to have anything to do with the awards at UKOUG which is fair, you must be totally impartial in something like this, but I do have my job on the evening; I get to host the after dinner speaker. This year we were in the Jumeirah, Carlton Tower hotel in London. It was a lovely setting and we had a lovely meal. 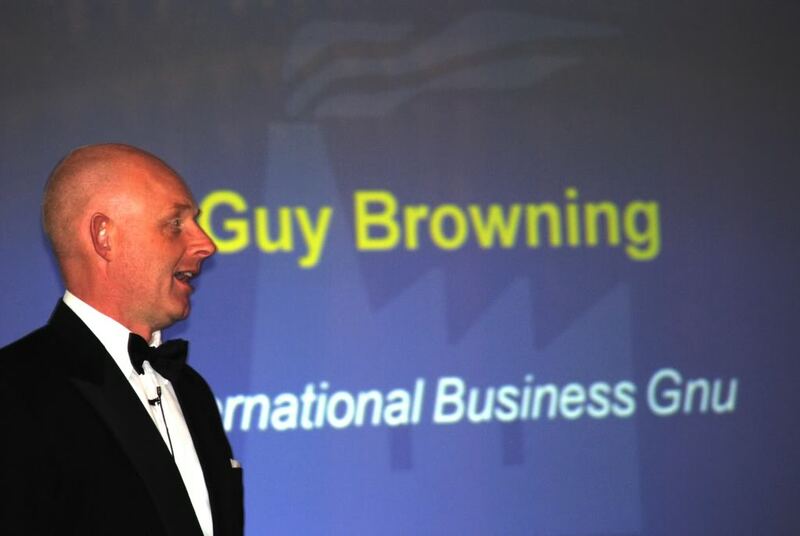 The after dinner speaker was Guy Browning described as the David Attenborough of Business, as normal I rang him a few weeks ahead of the event and told him all about UKOUG and what we are about, and then it is over to him. That means I spend the evening worrying about what he might say. I didn’t need to worry he was excellent, hysterical, up to date and really engaging with the audience. Everyone loved him. Then the awards are presented and this year my fellow director Lisa Dobson did the honours of announcing the winners. Another night to be proud of, both for UKOUG and for Fujitsu who did well, 3 awards including Gold for Public Sector. Congratulations to all the award winners who along with the photos.